Just snap it on and you're set to go! 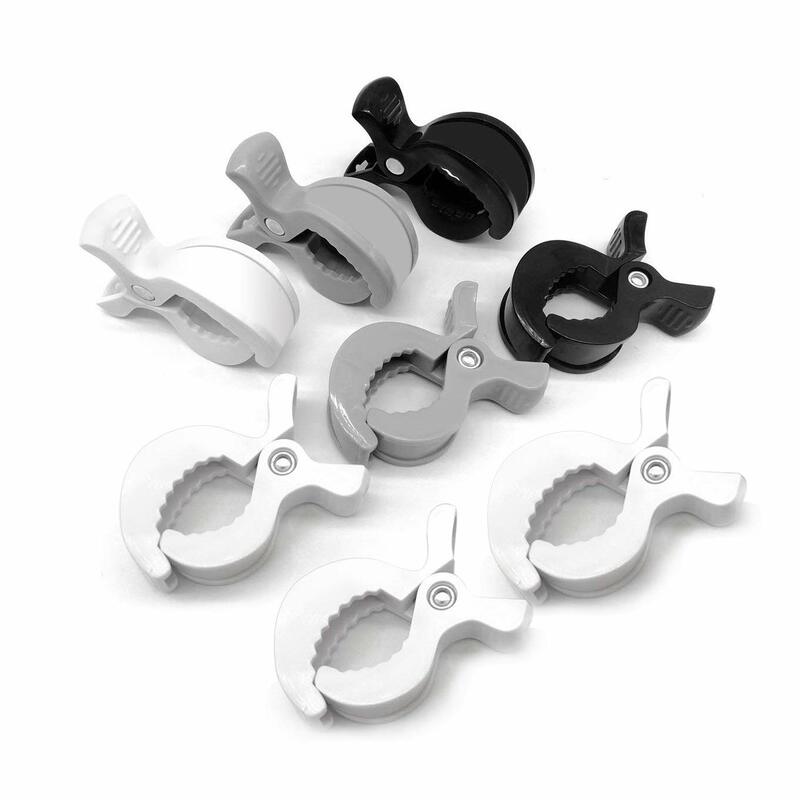 The Goldbug Mummy Clip is the ULTIMATE accessories for Mums & Dads when OUT AND ABOUT with Kids. 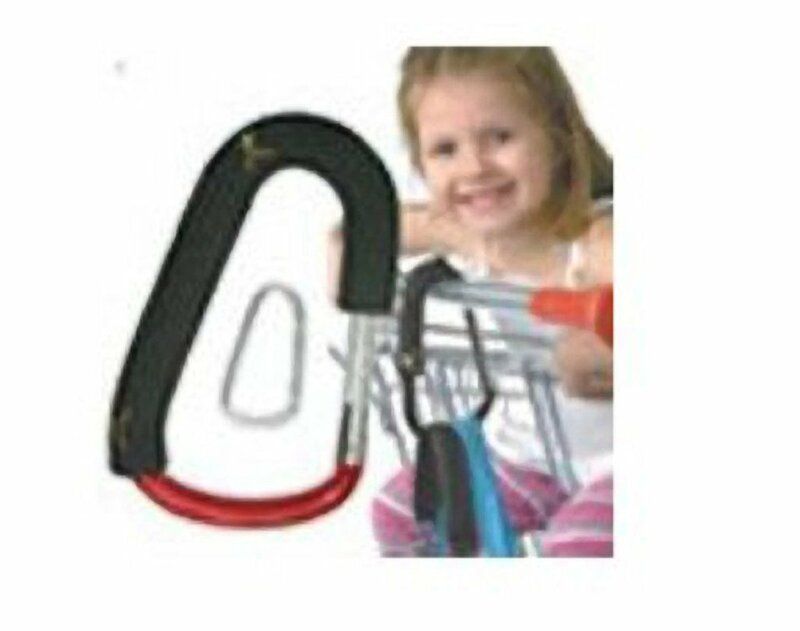 Just clip over your Pram or Shopping trolley handle. Then add on your handbag, nappy-bag shopping or grocery bags or anything else you would usually carry. Now your hands are completely free! 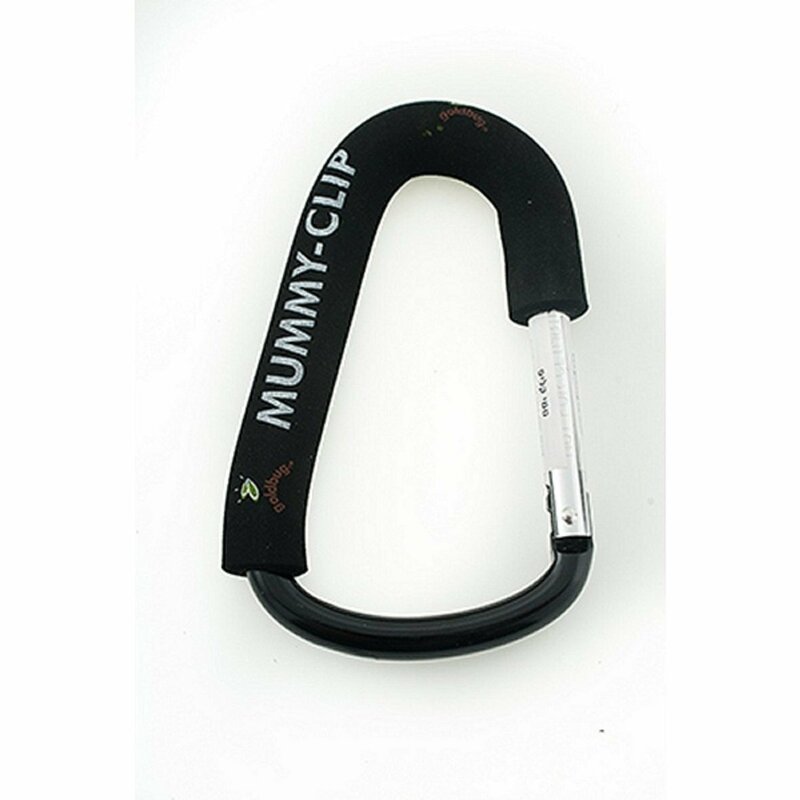 The Mummy Clip can also be used as a carrier for general parcels or shopping bags. The foam grip is comfortable to hold and avoids straining your hands. 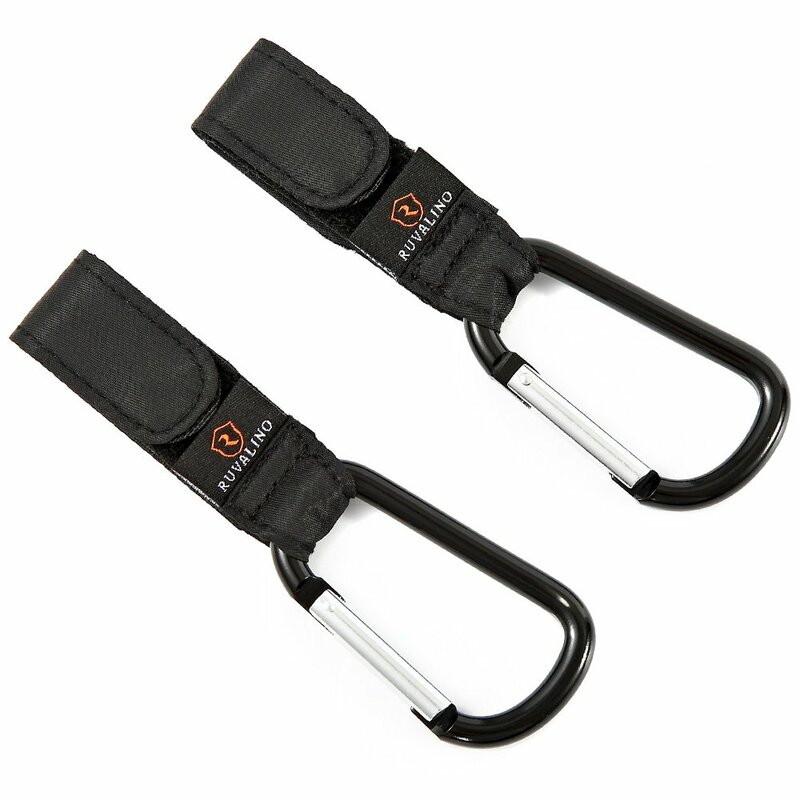 These are very helpful and fit onto my silver cross surf perfect, they will hold as much as you want to put on them i've also hung the shopping basket on them when walking around the store. My only problem with them is that they are quite annoying and do slip also if the nappy bag is attachted onto the pram its very overloaded and when using the buggy board all the bags are in my toddlers way, I've tried putting them more to the side but they are so big the bags touch my wheels. overall a good buy when your stuck but from a personal point of view nothing is going to be perfect with a pram with no handles to help with those extra bags. Love this! 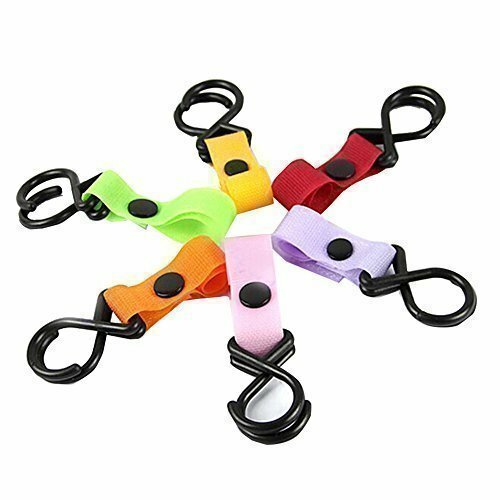 I use it for my dog when we are out and about and I need my hands free to eat etc. I used it while camping too. It is so versatile and tools onto most things. It's quite big so the photo doesn't do it justice. 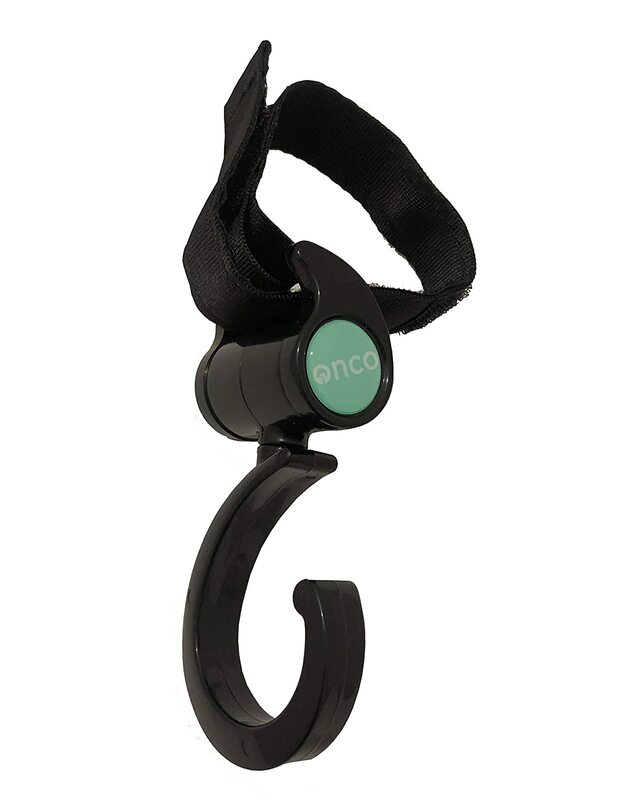 I have this attached to the pram at all times, great for the baby bag and the shopping, saves me putting the shopping on my Childs face and suffocating them, buy one of these don't risk a child.....like I did 5 times. Purchased this as a gift for baby shower. It seems excellent quality and the mummy-to-be was delighted with it! 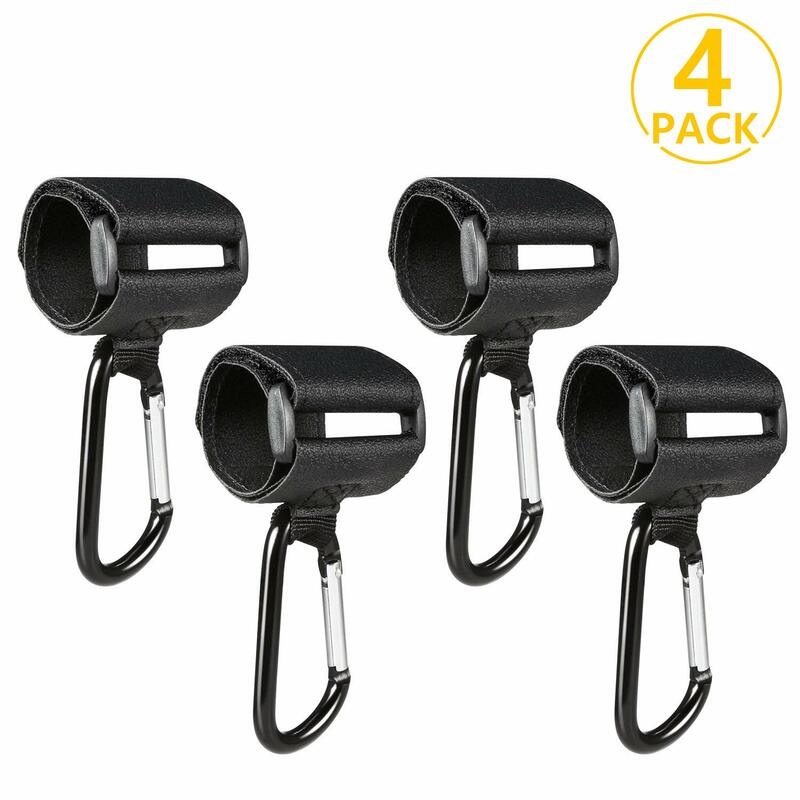 Very strong clip that fits over buggy handle and I have no worries about it breaking. It is also very large and can hold as much as I want it to. Good value with the twin pack. Erm HOOOOW have I gone almost 2 years without these life changing devices? Best baby purchase I've made in ages and wish I'd had them from the start! Really happy with this clip. It's really big and sturdy and fits easy on the pram and smart trike. 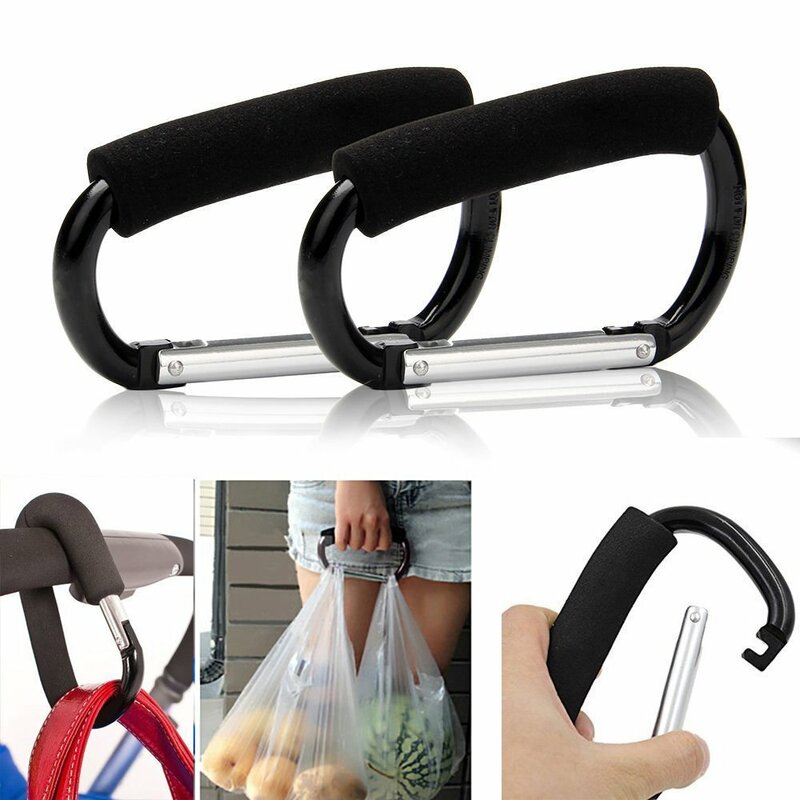 I use it to keep my handbag attached to the handles. Couldn't live without one now, a must for every parent.